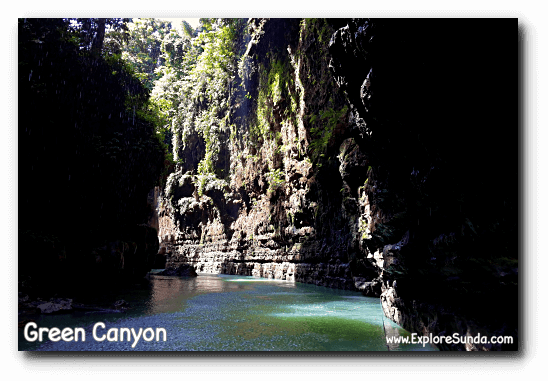 Green canyon is a very beautiful canyon near Pangandaran beach. 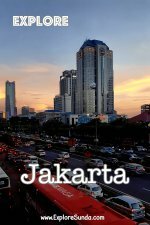 Local people call it Cukang Taneuh, a sundanese word for a bridge made of dirt. 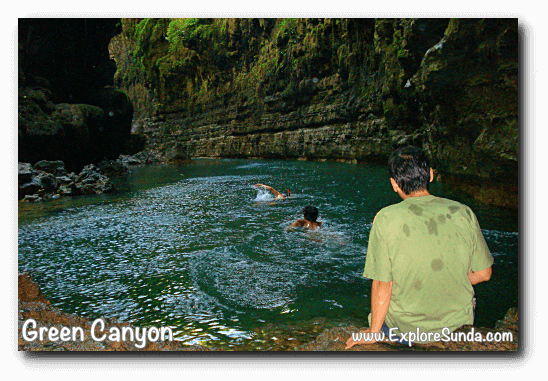 This place combines a cooling sensation of the green river named Cijulang and the gorgeous view of a great canyon. 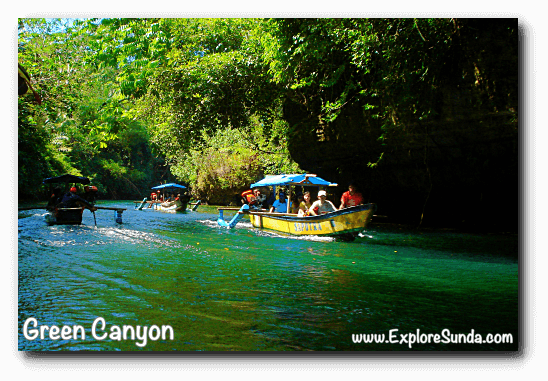 Since sailing through the river is the only way to reach the canyon, the ticket is included in the boat rental. 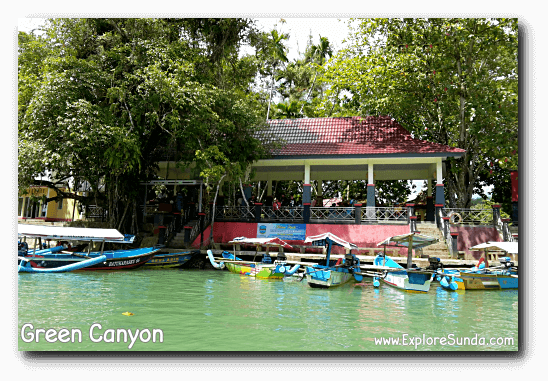 Each boat can carry five passengers. 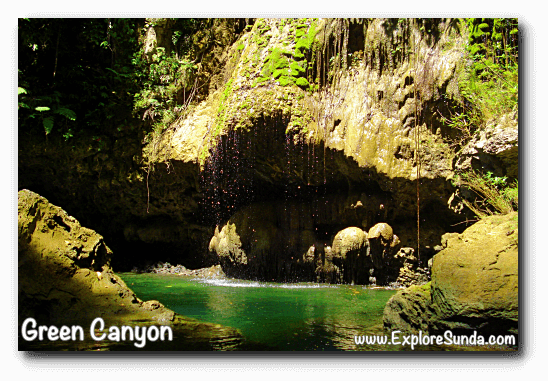 Presently, there are three packages offered, the only difference is whether you want to go swimming in the canyon. 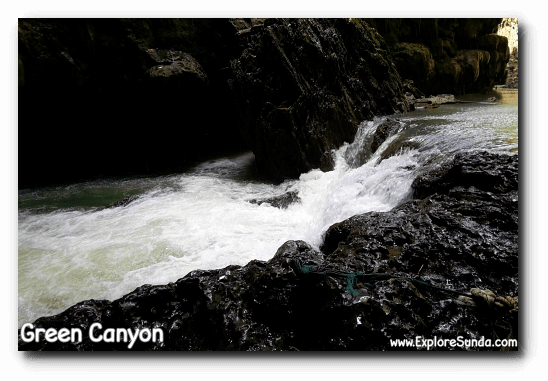 So, the Regular package is only 45 minutes: we sail to the canyon, stop for a few minutes there to take some pictures then return to the basecamp. Then, there are two swimming packages, depending on how far you want to swim. 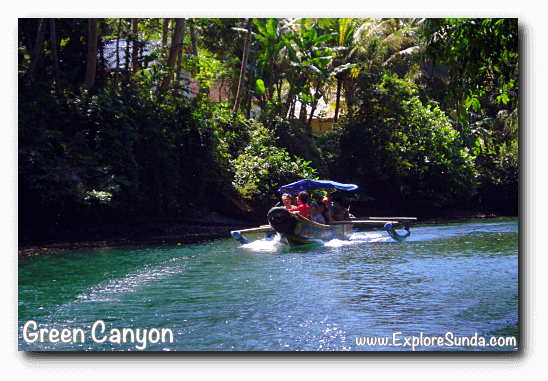 We will sail for about 20 minutes, since the canyon is hidden in the middle of Cijulang river. 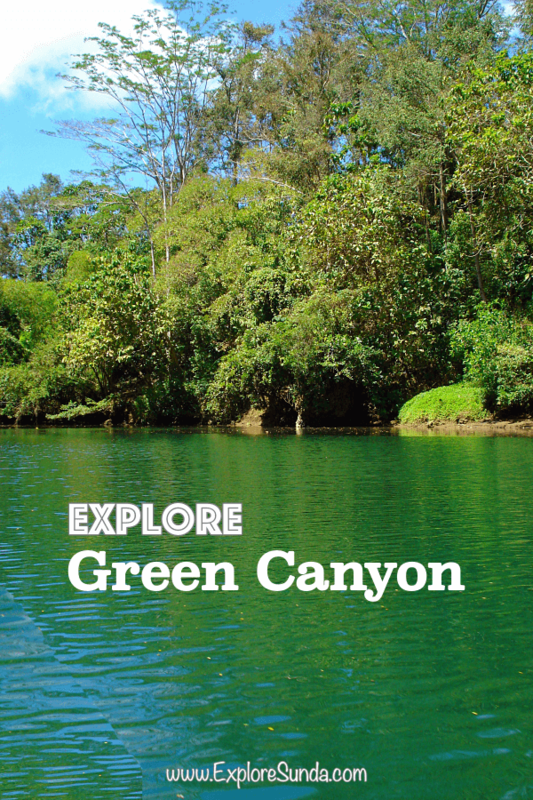 The color of this river is green most of the time, except during heavy rain. Then the color will change to brown, due to the mud it carries. Whenever the water level is too high, this placed will be closed. 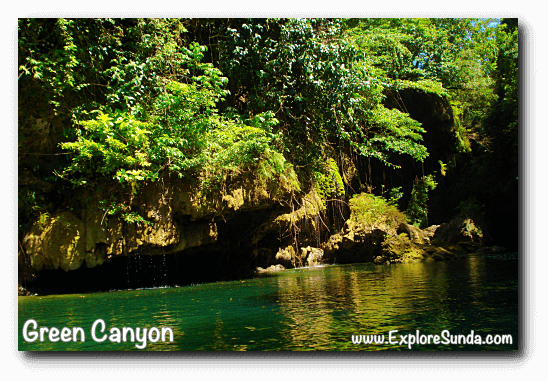 Hence, the best time to go to Green Canyon is during dry season. 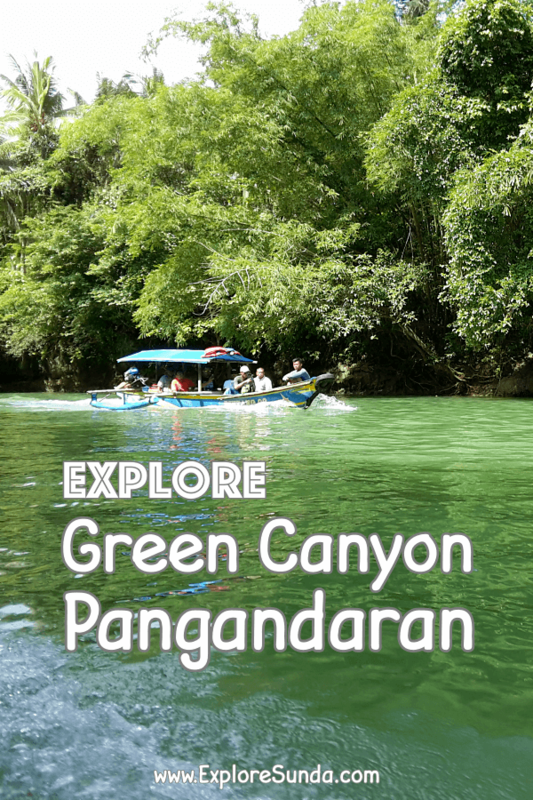 Along the way you will see beautiful green landscapes and some monitor lizards on the river banks. The river is calm, so it is quite safe for the whole family, even without wearing life jackets. At one point, the boat must stop due to the rocks blocking the river. 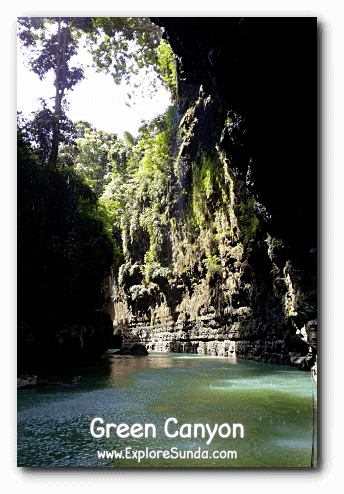 This is where we can get off the boat, climb the rocks and either take pictures or if you buy the swimming package, you can prepare to dip your body to the cold river! Don't worry if you can't swim. 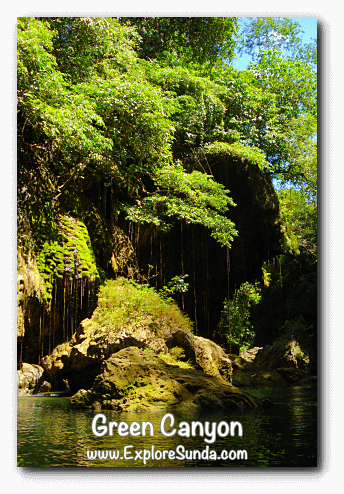 You will be safe floating by wearing a life jacket, and there are ropes to hold on to cross the deep end. Nevertheless, whether you are a good swimmer or can't swim at all, please always be cautious and follow the rule. 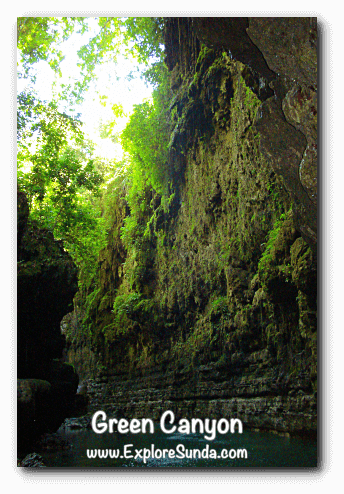 We, at the ExploreSunda.com, strongly recommend you to visit Green Canyon when you are in Pangandaran. You can enjoy the beautiful scenery along the way. 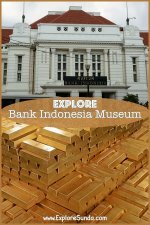 Moreover, sailing on a traditional boat called ketinting is fun for the whole family. 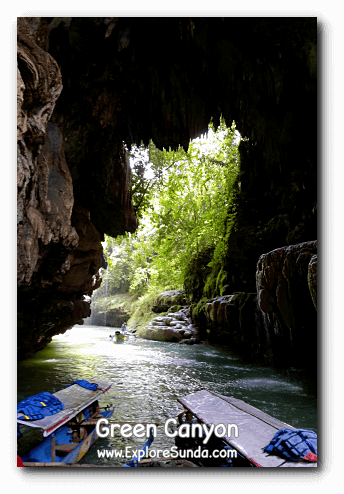 But, if you prefer a more adventurous activity, you should try the body rafting tour. It will start on the upstream of the river. Unlike white water rafting, we will not use any raft. 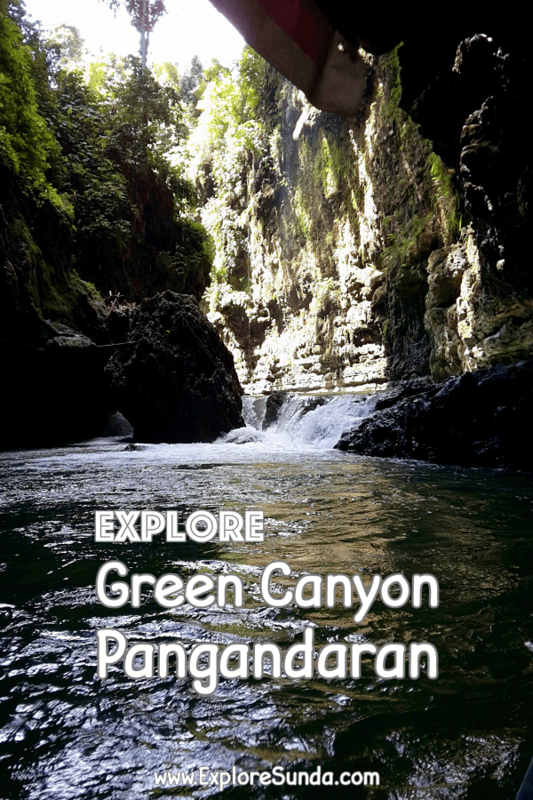 We will wear life jackets and helmets, jump into the river and float passing several rapids and waterfalls, until we reach the canyon, which is the same spot where all the boats await visitors to return them to the harbor. This activity takes approximately 2.5 hours. 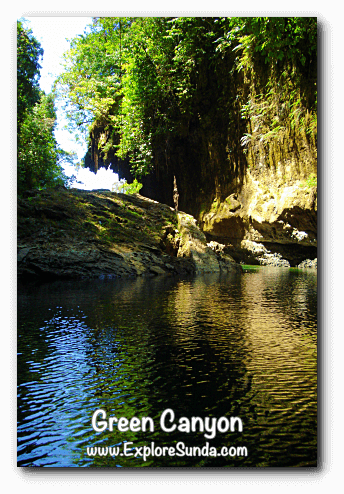 Green Canyon is approximately 26 kilometers from Pangandaran, which approximately takes 30 minutes drive to the west. 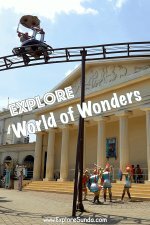 You will hardly miss it, since there is a big sign board with many small boats moored on the river and a big car park across the street. The GPS coordinates are 7°44'04.0"S 108°28'00.0"E (-7.734445, 108.466667). 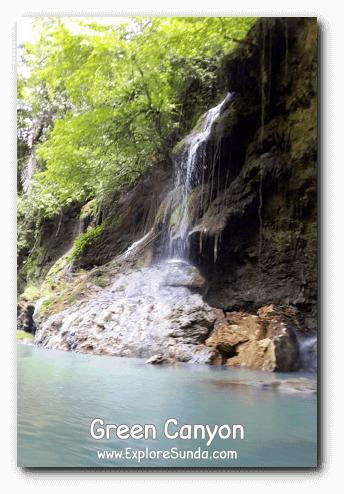 Although there is only one canyon in Sunda, there are plenty of waterfalls (or curug in Sundanese word) For example, Curug Cikaso near Ujung Genteng beach, Curug Cimahi between Bandung and Lembang, Curug Cilember in Puncak, Curug Cibogo and Curug Ciismun in Cibodas Botanical Garden.